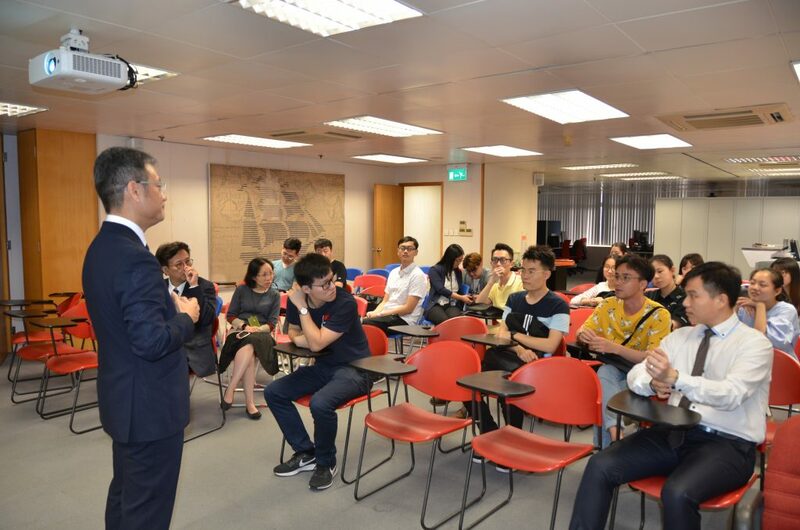 The Alumni and Development Office and Student Affairs Office’s Career Development Centre organized “Corporate Experience Scheme- Chat Hour” on 11 April. 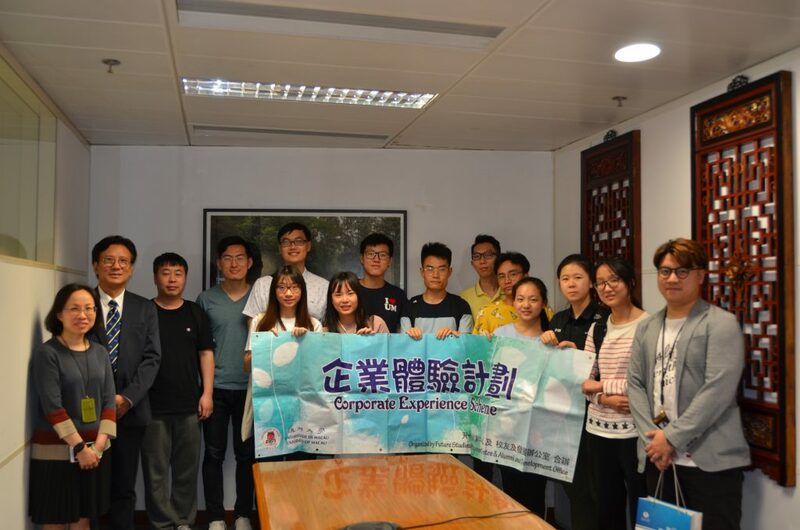 Leaded by Mr. Peng Chun Vong, Director of Alumni and Development Office, around twenty students from different faculties went to visit the head office branch of Banco Nacional Ultramarino Macau (BNU Macau). The visit aimed to help students learn more about the development of the bank, career prospects and related market trends. 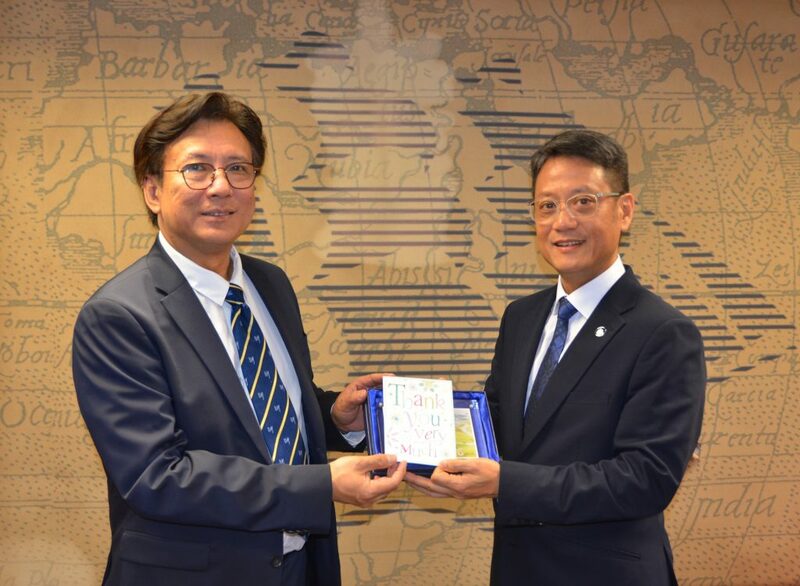 The students were able to meet and talked to UM alumni Mr. TOU Kei San (Class of 1985, B.A. 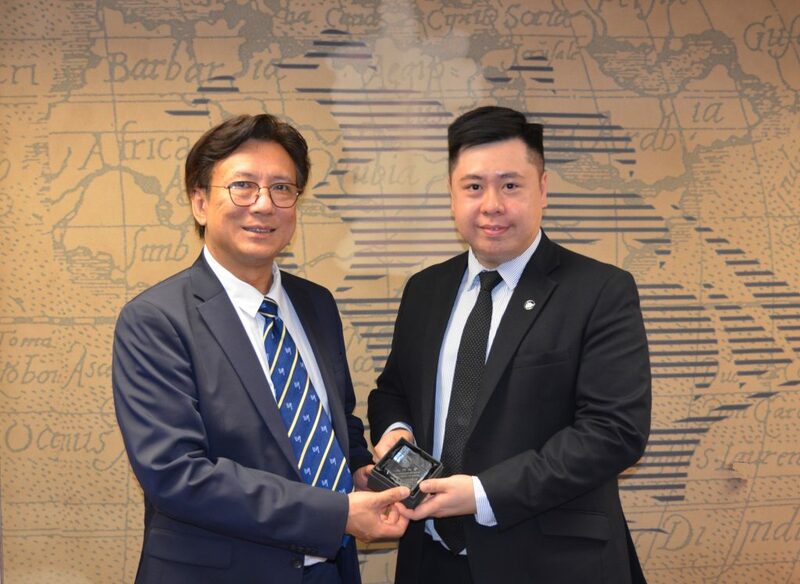 in Business Studies), Executive Director of BNU and Mr. LOI Seng (Class of 2012, B.A. in International Business), Head of Area – Corporate Banking Division of BNU to learn more about the industry. 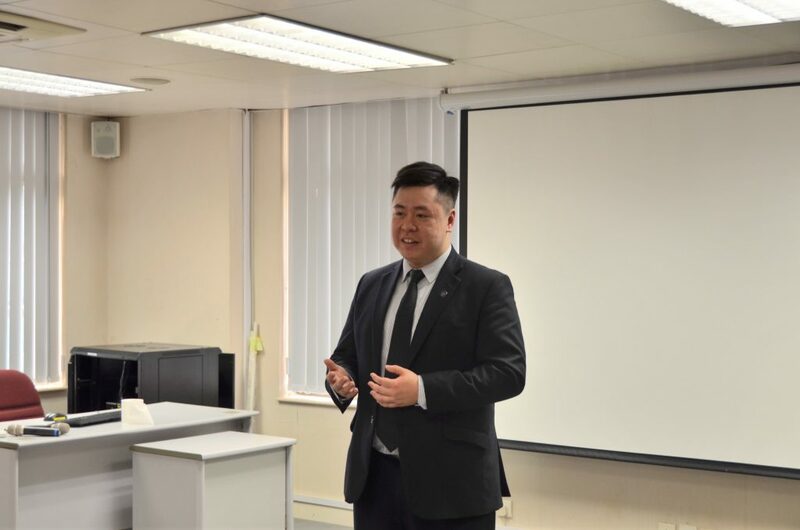 During “Chat Hour” sharing session, alumnus Tou gave an introduction on the structure of the bank, business scopes, career development as well as training programs to the talents. 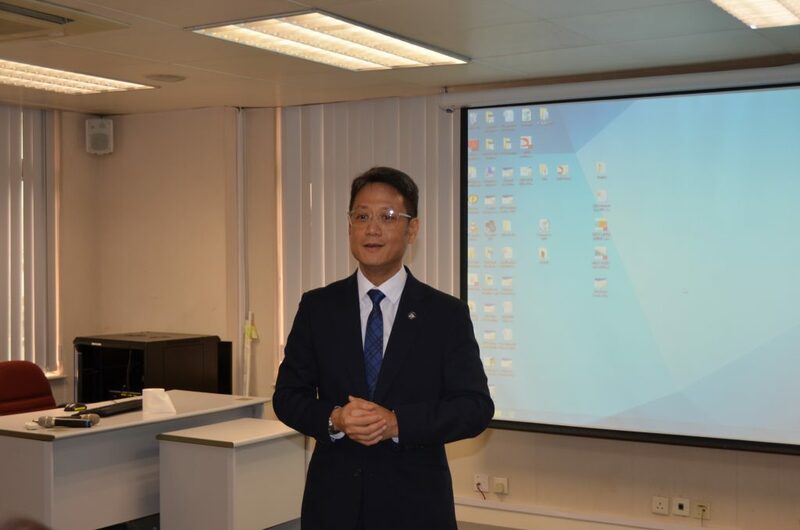 He also shared his own story on how to get into the managerial level after graduation and encouraged students to cherish resources form the University so as to strengthen their comprehensive competency. Alumnus Loi shared the story of how he entered this industry and the importance of continuing education to equip himself and broaden his horizons, which helped him level up his professional knowledge. Students seized the chance to exchange ideas and had a fruitful discussion with alumnus. 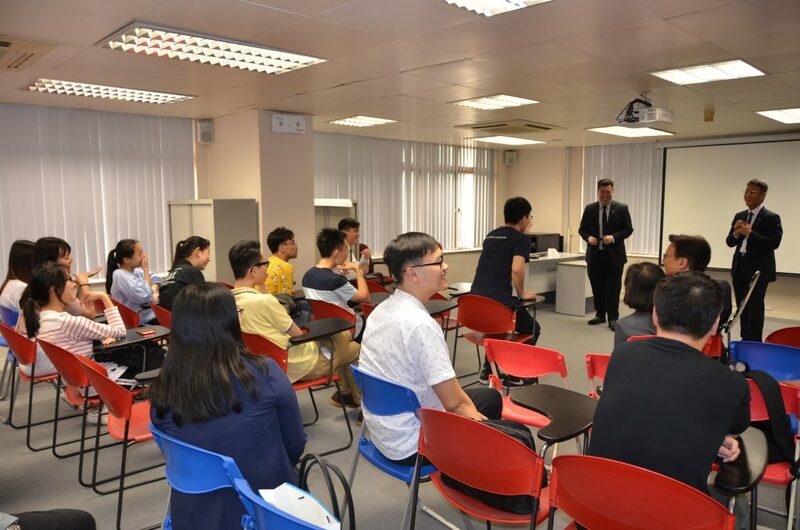 Guided by representatives from Human Resource Department, a tour to the BNU Macau was arranged after the sharing session. The visit was concluded in a warm and harmonious atmosphere.